By DJ Salinger, TOKYO – Nothing sounds better than a great MP3. Am I right? The Japanese discovered this back in the ’80’s, when they discovered America, but now even the biggest losers are dumping their sad sack vinyl collections in the river and wearing their CDs instead of playing them. MP3s are finally getting the respect they deserve. 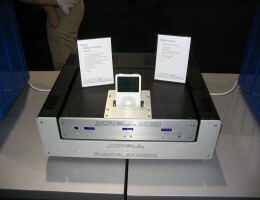 Just try listening to a great MP3 on an expensive iPhone or iPod machine. When I heard The Beatles’ Rubber Soul on my iPhone it was almost as good as listening to it on my Radio Shack cassette recorder or on a car radio. The MP3, just like a human Olympic beach volleyball athlete, tries real hard to reproduce all the grit of the beach sand and dog hair that gave my Radio Shack its unique sound. And, it sort of mimicks the third genration dub hiss that my Beatles tape had since it was a copy of a copy of a copy of my brother’s loser druggie friend, Ray Goolens. Remember all that wasted time -dubbing and triple dubbing your favorite tunes? No? Then what are you doing staying up so late? It’s probably past your bedtime, right bro? I guess kids these days probably don’t have a bedtime, but stay with me. I twaddled on The Six Pistols’ “Never Mind the Hogwash”, which I downloaded guiltily from iTunes (I know – it’s bad – the artist doesn’t get any money from iTunes), and listening to its smoothed out guitars just eased the kinks right out of my bod. With MP3, unlike plastic or CD, what you’ve in your hands is control. You’re the chief engineer and the eccentric father of five with a great set of high end speakers and you’re in charge or remastering your entire audio library. Indeed, if anything, MP3 and its ideal mates Apple and iTunes are like the Che Rivera and Louis Vuitton of our generation. How so? Well, in that they’ve freed us all from audioslavery. This entry was posted in Thinking Man's Rock and tagged apple, cassette recorders, dj salinger, itunes, louis vuitton, nothing sounds better than a great mp3, radio shack, ray goolens, rubber soul, the beatles, the brutal times, tokyo. Bookmark the permalink.